Alaska Dog Sledding at its Best! 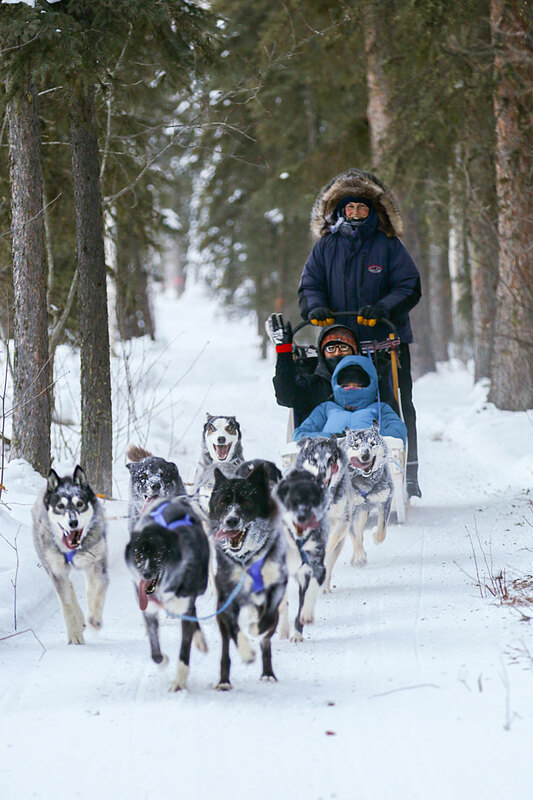 Your dream of Dog Sledding Alaska comes true when you join an experienced dog musher and a team of eager huskies. The trail swoops and winds down forested winter trails in the heart of interior Alaska’s Chena River Valley. A perfect dog sled tour for a taste of dog sledding and just the right length for a dog sled ride when it’s exceptionally chilly. Our half-hour Swing Sled Dog Tour is an exhilarating introduction to Alaska’s state sport of Dog Sledding. We had an awesome and amazing time dog mushing with Just Short of Magic! The views were spectacular! The Alaskan Huskies were very friendly and lovely! … For family and groups who would like to have their dog sledding experience, we highly recommend Just Short of Magic! It’s Worth it! Eleanor, her dogs and crew are awesome. The dogs are happy and well cared for, and the gear and facilities are top notch. A must visit- 5 star -Fairbanks area attraction. Two thumbs up! Highlight of our trip to Alaska. Would recommend them to anyone looking to try dog sledding. Amazing experience! Everyone was so helpful and nice. Dogs were super sweet and SO well trained! The mushers were amazing and answered every question we had. You can definitely tell how much Eleanor and her crew love all their dogs. Highly recommend!